Kimi Raikkonen bounced back from a telemetry issue yesterday to log 82 laps for Ferrari and post the third quickest time on Pirelli’s soft tyre. He got within two tenths of Fernando Alonso’s best lap on day two, but brought the test to an early halt when he crashed his Ferrari at Turn 4. The Finn’s test ended with a crash, five minutes from the end of the session. “At the end, it wasn’t a technical problem, I just spun at turn 4 and damaged the car. But I don’t think it will be a problem to fix it for next week. Maybe I went too wide on a kerb, which caused the wheels to slide and I lost control of the car and hit the barrier”. 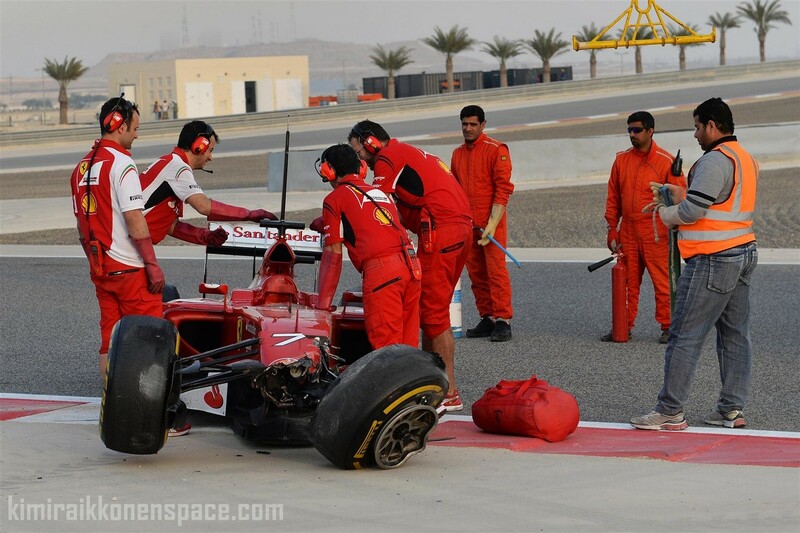 “I was on a kerb and got some fairly massive wheelspin,” said Raikkonen. “I couldn’t catch it anymore and unfortunately it went directly into the wall and damaged the car. 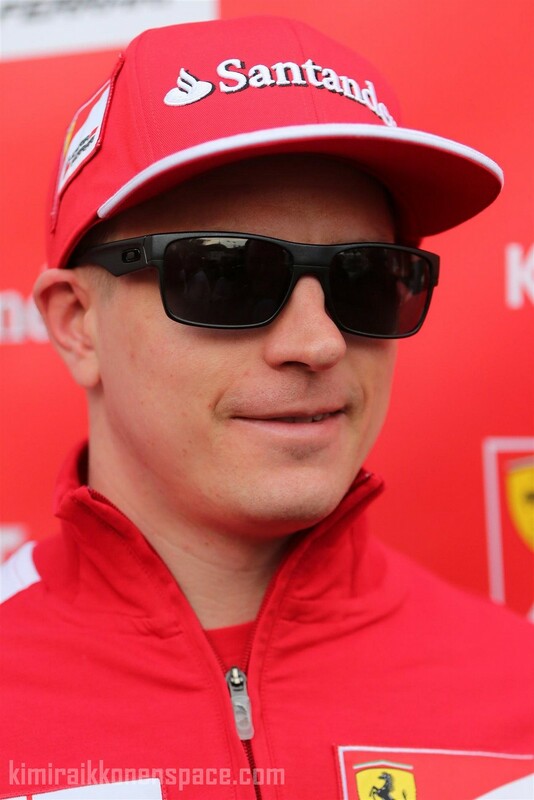 The Finn’s crash and the telemetry issue he suffered on Friday have limited Ferrari’s running and delayed a plan to try a race run with the F14 T.
“We always want more laps, but today we didn’t have any problems,” Raikkonen added. “Obviously I damaged the car with the crash and there were many red flags, but we did more or less what we wanted to. I don’t think it’s an issue. The 34-year-old missed the final two races of the 2013 season to have surgery on a long-standing back injury – reported to have been caused by a testing accident in 2001 for Sauber – but the Finn insists he is now fighting fit once more. First he spun out in LaFerrari, and now this. I’m sctratching my head here in bemusement. What’s up, Kimi? Perhaps he has other issues on his mind – like a baby on the way!